“used for emphasis while not being literally true” (informal usage, Oxford Dictionaries). “used to acknowledge that something is not literally true but is used for emphasis or to express strong feeling” (Google). Iâ€™m literally banging my head against the wall. Now, I appreciate the evolution of language. If a language does not grow and adapt, then it ultimately dies. I get that. In fact, Iâ€™m fascinated by it. But does growing and adapting mean just accepting error? This makes my head hurt. Iâ€™m sure it has nothing to do with the wall-banging. Iâ€™m just saying if â€œsupposablyâ€ makes it in the dictionary, my head will explode. No, not literally. Because then Iâ€™d be dead. 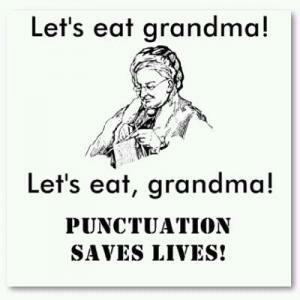 Of course, then the whole â€œgrammar killsâ€ argument would carry more validity. These questions are too complicated to axe the average American.